After several strips in a row of a character ultimately meeting with unfortunate circumstances, I really wanted to do something different. 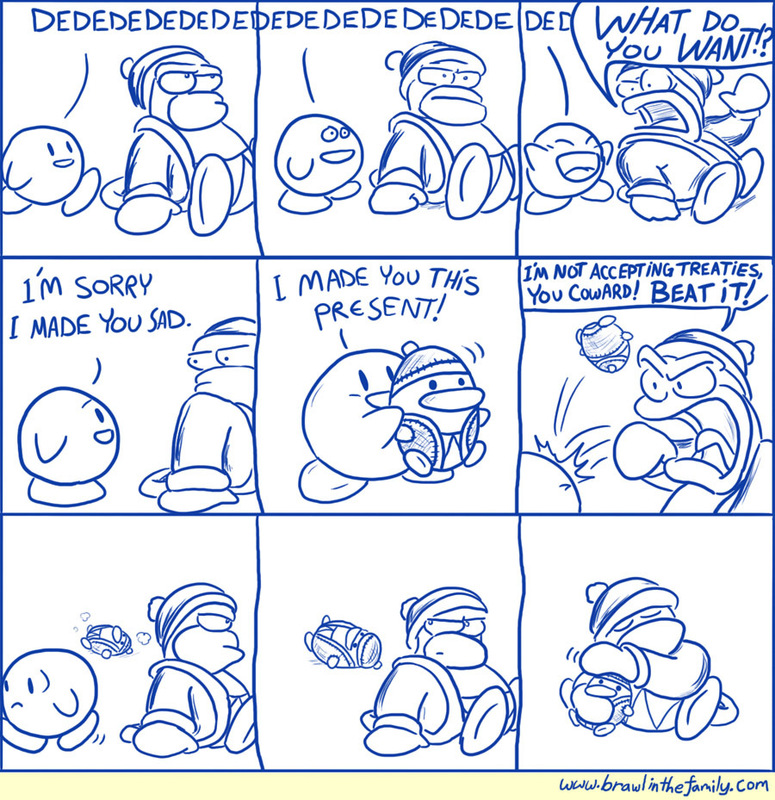 For some reason, I can totally see Dedede adoring a tiny plush of himself…just not in front of his nemesis. My buddy KevinCow, the greatest person ever in the world, has created something new. And it is great. 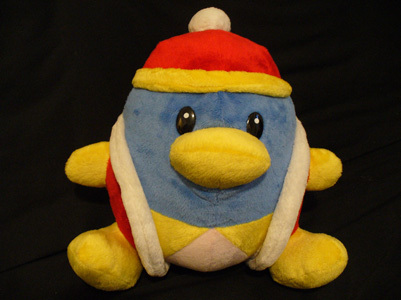 Dededolls are now available at the Brawl in the Family Online Store!